Help us Give the Gift of Play. I have read and agree to the Terms and Conditions and give my consent to Alexandra's Playground to process my personal data. I understand I can revoke this consent at any time. We're happy to be offering mobile bidding for our silent auction this year. When you purchase your event tickets online, you will receive a confirmation email and text with your personal link for the auction. When you provide your guests' contact info they too will receive a confirmation, and their own links. We will send you a notification link when the auction opens. When you save your credit card to your GiveSmart account it will be make your check-in and check-out at our event go much quicker. But don't worry, if you decide later to use a different form of payment for your auction items, including cash or check, you will have the option during check out to choose an alternate payment method. If you're not able to make it to our event, with mobile bidding you can still bid in our Silent Auction! Register to participate. 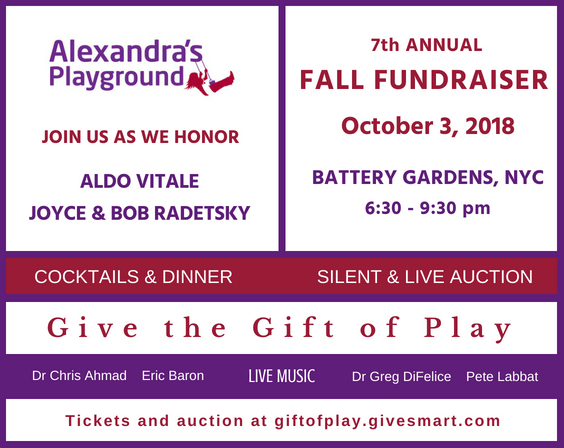 If you prefer to buy your event tickets with check or cash, please contact lori@alexandrasplayground.org to make arrangements. Sponsors will have their company logo displayed on the mobile bidding platform and on our website. Contact lori@alexandrasplayground.org. 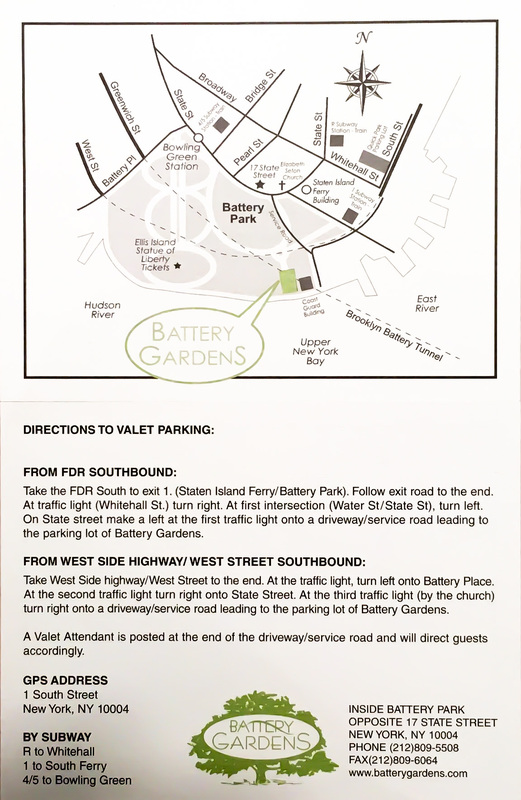 Simplify your night by purchasing valet parking.